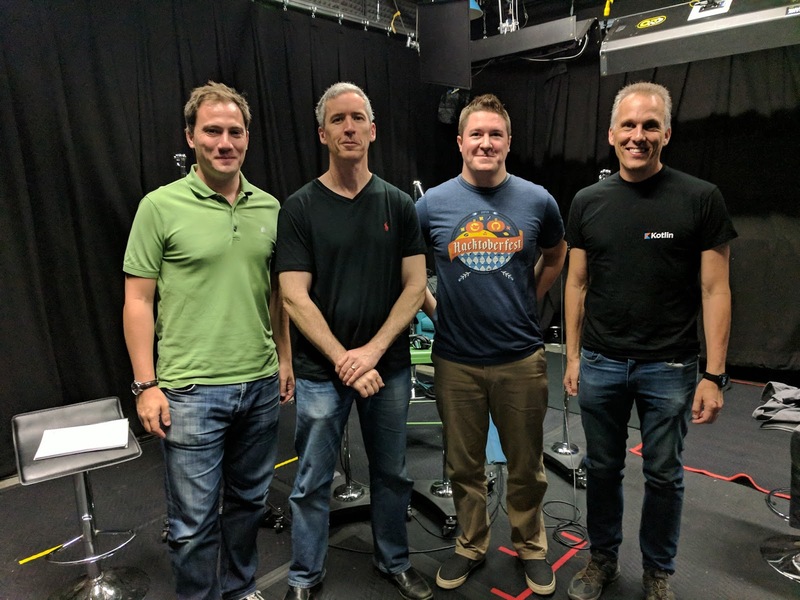 In this episode, Chet, Romain and Tor talk with Jake Wharton about his new role as an engineer on the Android team at Google, and about Kotlin in particular. Subscribe to the podcast feed or download the audio file directly. Thanks to continued tolerance and support by our audio engineer, Bryan Gordon. Regarding boxing: Kotlin compiler performs various optimizations to avoid redundant boxing / unboxing both before and after inlining. Basicly, if you don't use a boxed primitive in a way that would require an object, compiler shoud generate code without boxing/unboxing. If it doesn't, but you think it should, please, don't hesitate to report an issue (https://youtrack.jetbrains.com/issues; Type: Performance Problem; Subsystems: Back-end. JVM). I'm super glad to hear that Jake Wharton has joined Google and will be improving Kotlin tooling. I'm now more motivated to learn Kotlin.